Thank a bunch for sahring this! I really neede such a dosis of cuteness after 4 straight months of ceaseless studying! haha....this is hilarious! i love how kaido is so drawn to karupin. All of them ar sooo kawaiiii >///<!...Kaido! OMG! Sooooo kawaiii! I want to hug him! Aww very cute! I love chibi Karupin! 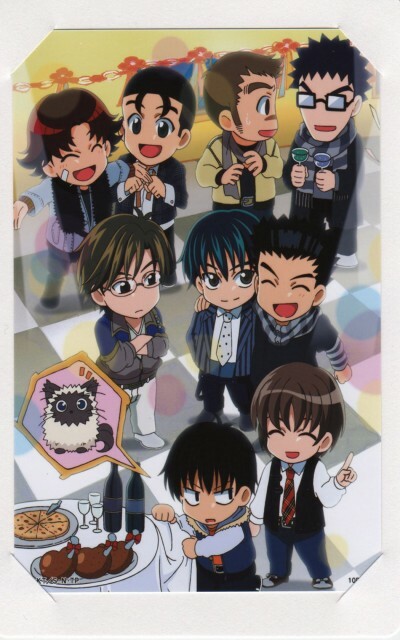 And look at Kawamura's face, lol, Inui's so evil! Such a cute scan, thanks for sharing. momo! alejate de ryoma! s mio!